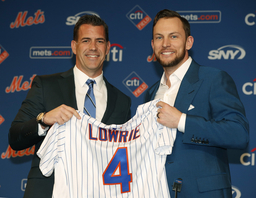 ''Looking back, it was kind of a crazy year,'' deGrom acknowledged. 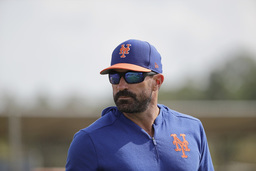 ''There are some teams out there with very good rotations, but I think most teams would love to have our rotation,'' Eiland said. ''Honestly, I don't think it's made that big of a difference. 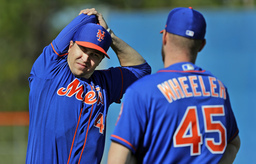 I try to block out things that don't really help me get ready for the season,'' deGrom said. Power-hitting prospect Pete Alonso looks ready for the big leagues and could make a huge difference by providing immediate pop from the right side of the plate. Alonso led all minor leaguers with 36 homers and 119 RBIs combined at Double-A and Triple-A last season. 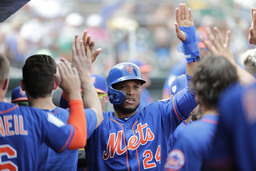 His defense is a question mark but he's worked hard on that part of his game and it's vastly improved, according to the Mets. Alonso was getting pushed hard for the first base job by a rejuvenated Dominic Smith, a 2013 first-round draft pick. Both were playing well down in Florida. ''If spring training is any indication of what's to come, the sky's the limit for us,'' said veteran Todd Frazier, another option at first base.